"The moon" redirects here. For Assist Trophy from Legend of Zelda, see Moon. La Luna (formerly known as The Moon) is a Marth main from New York. He is considered one of the rising stars in the region; he had only started playing around 2011 under DJ Nintendo, but has climbed the ranks quickly. 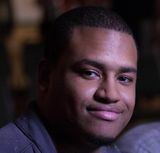 His breakout performance came at Revival of Melee 6, where he beat very strong players such as DJ Nintendo and Chillindude829 in Losers' bracket to secure 3rd place. He is currently ranked 3rd on the NYC Metropolitan Area Melee Power Rankings and 32nd on the 2018 MPGR. He boasts high-level wins over Leffen, SFAT, S2J, Druggedfox, Westballz, and Shroomed. La Luna is one of the four Marth players that has been able to take a set off of Fly Amanita's Ice Climbers in tournament, with the others being PewPewU, Ken, and Azen. La Luna has been notably upset by a few mid and low-tier mains, including Phish-It's Donkey Kong at Zenith 2012, Qerb's Mr. Game and Watch in locals, Saus' Link at Get On My Level 2015, Kage's Ganondorf at The Big House 5, and Green Ranger's Donkey Kong at Nebulous Prime. He is also known for being the origin of a commentator meme in the Melee community. Years ago, when he was not as well-known as a player, he claimed that one of Falco's most popular ledge getup options (the ledge hop double laser) was actually an "unsafe" option, contrary to popular opinion. This was brushed off at the time, but frame data and advancements in the metagame have since shown that he was actually correct. As such, when modern Falco mains perform this technique and are punished for it, commentators will often reference La Luna and quote the history of his claim. La Luna almost always plays white Marth, but switches to black Marth when in grand finals of a tournament. When he was called The Moon, he referred to this as "the dark side of the moon". This page was last edited on April 21, 2019, at 23:37.